Having been a member of the Florida Bar since 1991, and having practiced in various areas of law, I fully understand and take seriously the commitment of time and resources required in order to be an effective and successful attorney. Preparation is key if one expects to have a chance of “winning” and effectively representing one’s client at any hearing. I pride myself in my work ethic and preparation for each hearing that I attend, no matter how much time for preparation may be required. As attorneys, we do not create nor do we have control over the facts of any given case, but we do have control over our preparation and understanding the facts as they relate to the law for each and every case. As an attorney, a wife and mother, I know that this type of preparation requires sacrifice at times, but the rewards are well worth it! Having said all of that, it is important to me as an attorney, to be able to balance my work and home life. May and June are extremely busy months for anyone who has school-aged children. Summer plans are being finalized; students have awards ceremonies, performances, sports banquets, and end-of-the-year events of all kinds. The list seems endless. In order to be able to accomplish everything, a great deal of planning and coordination is required. It is a given that effective time management plays an important role in obtaining and maintaining a balance between work and home life; however, there is more to this equation. So how is it possible for anyone, whether they have children or not, to be an effective attorney while balancing life outside of work? First and foremost, no one can do everything alone. As an attorney, it is critical to have the support of competent legal assistants and paralegals. Without knowledgeable and effective legal assistants, it would be difficult at best to successfully balance home and work, while successfully representing one’s clients. At Wetherington, Hamilton, P.A. our support staff is second to none. This fact alone makes it possible to for our attorneys to maintain balance while effectively representing clients and obtaining the best results possible. 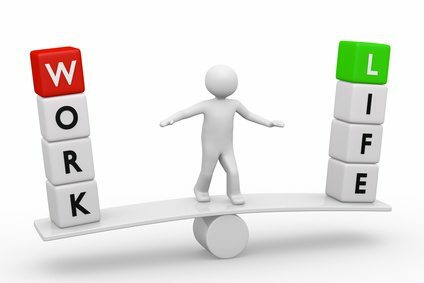 Just as the scales of justice symbolize balance or the weighing of issues in order to achieve a just result, so too, maintaining balance between one’s work life and personal life allows for the best results in both worlds. The law firm of Wetherington Hamilton, P.A. allows for and encourages this type of balance, making this law firm not only a great place to work, but a successful law firm, achieving positive results for its clients!